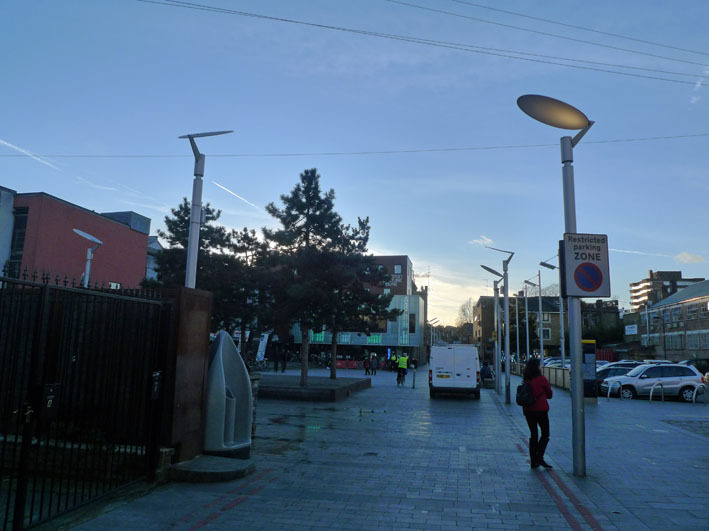 Gillettt Square is an open and publicly accessible space near the Dalston end of Kingsland Road, close to shopping areas, well served by public transport, and small enough to be managed with limited resources and has hosted many successful activities. Its open layout promotes a “fairground” type of intervention with many different activities happening adjacent to each other. The small businesses that exist in the huts would naturally become part of any such intervention without interfering with their business in anyway. 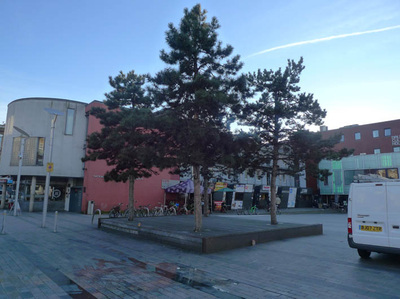 Degrees of Freedom believe that Gillett Square is not being used to its full potential as a public space. At the moment it feels like an isolated, grey and unwelcoming space not conducive to social activities. It is cut off from the vibrancy and utility of Kingsland Road and Ridley Road market and is used mainly as a cut through to other places. There is little to attract or hold families or children or young people so nobody hangs around apart from the drinkers who have nowhere to go. The Square itself is festooned with signs prohibiting this, that and the other. For one day only, we propose to declare the FREE REPUBLIC OF GILLETT SQUARE and invite people to take-up citizenship and enjoy the amenities that we will create. Everyone who enters will be offered a Free Passport which will entitle them to participate in the activities described below. Citizens will collect stamps on the basis of their participation in our activities or attendance at the various cafes and other businesses in the square. Six stamps will entitle them to a “treat” at a Rewards tent. Giant welcome mat installations will greet people at each of the 3 main entrances. The Square will be festooned with flags, pennants and symbols of the Free Republic of Gillett Square. 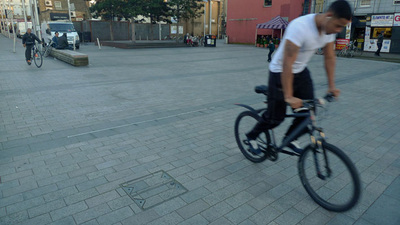 The Square itself will be divided into a number of areas identified by distinct colourful matting and other objects. So there may be a beach, a ballroom, a pavement.... Each area will be governed by a set of playful rules set out on giant sized boards. These rules will describe behaviour that is either compulsory or prohibited for occupants of those spaces (eg: you can only cross the pavement using hopscotch or a pogo stick, dance only with a hula hoop in the ballroom, only cross the beach balancing a beachball on the nose etc ). Volunteers in crazy “uniforms” will facilitate each space, encouraging people to get involved. A PA system will broadcast successes. We will connect Gillett Square to the adjacent heavily used spaces of Kingsland Road and Ridley Road market by creating colourful footsteps on the pavements or string colourful wool to lead people into Gillett Square. 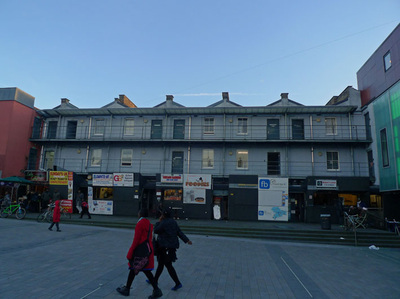 Selected stallholders from Ridley Road market will be invited to occupy the centre of the square to add to its amenities. Engaging the public is critical to the success of the project. We will invite participation from the wider Hackney artistic community to work with us to manage the proposed activities in the space. 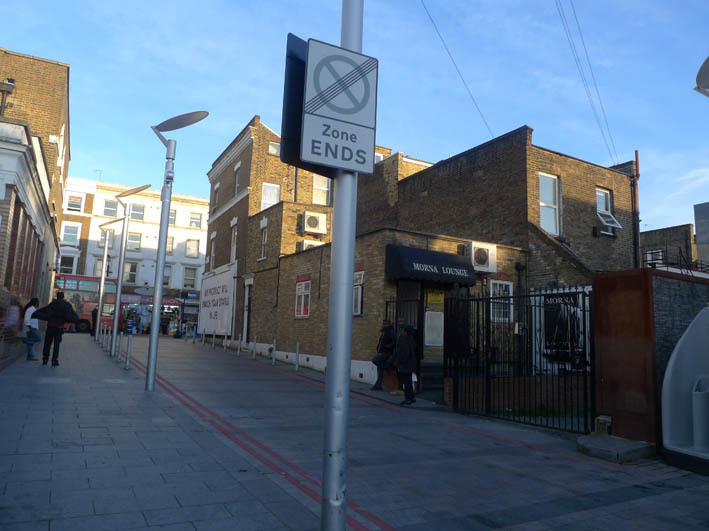 We will ask schools in the neighbourhood to design the flag, passport and other symbols of the new country of Gillett Square and to think about some of the rules that we could have for it. We will get the local press enthusiastic about the transformation of the square from a dramatic and human interest point of view. And finally we will connect the Square with the more vibrant parts of the borough through our footsteps and woollen trail installations.